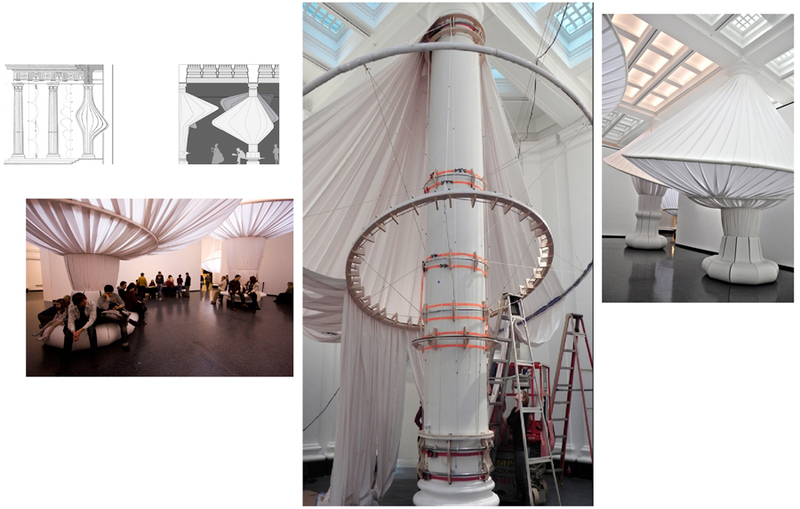 The re-imagining of Brooklyn Museum’s Great Hall was taken on by SITU STUDIO; a design and fabrication firm based in Brooklyn, NY. I was engaged for a 4 month internship to help realize the conceptual deformation of the hall’s classical Doric order. I participated from the phase of design development, devising connections and systems to be used through fabrication and installation.